Sam Thielman is an investigative reporter for Talking Points Memo based in Manhattan. He has worked as a reporter and critic for the Guardian, Variety, Adweek and Newsday, where he covered stories from the hacking attacks on US and international targets by Russian GRU and FSB security services to the struggle to bring broadband internet to the Navajo nation. He lives in Brooklyn with his wife and son and too many comic books. Senator Ron Wyden (D-OR) has sent a second letter to the NRA asking for details about the pro-gun lobbying group’s finances. The letter zeroes in on the group’s ties to Russian banker and accused mob boss Aleksandr Torshin, a longtime confidant of several consecutive NRA presidents and a “life member” of the group. The FBI is reportedly probing whether Torshin illegally funneled money to the NRA to help Donald Trump’s 2016 presidential campaign. The Wyden letter asks about the now-notorious trip to Moscow taken in 2015 by a number of NRA executives and supporters, including then-Milwaukee sheriff David Clarke, as well about the NRA’s “Golden Ring of Freedom” program, reserved for million-dollar-plus donors. In one of the pictures tweeted by Torshin’s Russian gun-rights group, Right to Bear Arms, the head of the Golden Ring of Freedom program, Joe Gregory, can be seen in attendance. “Please identify the purpose of Mr. Gregory’s December 2015 trip to Moscow and confirm whether he attended in his capacity as the individual who runs your organization’s million dollar donor program,” Wyden wrote. (a) Do your organizations maintain accounts or funds from which all expenditures are reported to the Federal Election Commission (FEC)? (b) Do your organizations maintain accounts or funds from which no expenditures are reported to the FEC? (c) Do your organizations maintain accounts or funds from which some (but not all) expenditures are reported to the FEC? This isn’t Wyden’s first letter to the controversial gun lobbyist. The senator wrote NRA treasurer Wilson Phillips in February requesting documents related to Torshin and the group’s Russian membership; the NRA responded without any detail beyond assurances that it complies with the law. As TPM has reported, Torshin’s links to the NRA are years old. The longtime Putin ally has sent NRA presidents birthday presents, plied them with expensive speaking engagements, and regularly attended the NRA’s annual meetings, most notoriously in 2016, where he met with Donald Trump, Jr.
Last month’s massacre in Parkland, Fla., which killed 17 high school students and staff, kicked off a national conversation about the need for increased gun control. But gun rights supporters are playing offense as well as defense. Despite Parkland, Republican lawmakers in a number of states are quietly advancing a slew of NRA-backed bills. In some cases, they’re even citing the shooting as a reason why we need more guns, not fewer. Even as gun control legislation remains stalled in Congress, the NRA has campaigned for 15 measures in 11 states that would further loosen gun restrictions. Among other things, the bills would strengthen existing stand-your-ground laws (Wyoming and Idaho), allow people to carry handguns without a permit (Oklahoma), and expand the list of places where people can carry guns (numerous states). On February 15, the day after the Parkland shooting, Idaho lawmakers introduced a bill to strengthen the state’s “stand your ground” law to the floor. The measure would expand the definition of justifiable homicide to include not merely defending a shooter’s home but his or her vehicle or place of employment, as well. On Monday, the bill passed the majority-Republican Senate after a vote along party lines. A South Dakota bill exempts private schools and churches from a law that made it illegal to carry guns on school grounds. The bill, introduced in January, passed the House on the day of the Parkland shooting, then the Senate on Thursday. On Tuesday, the West Virginia House passed, by 85-14, an NRA-backed bill forcing private businesses to allow employees and visitors to keep firearms in cars parked on private property. Twenty-two states have similar “parking lot” laws. West Virginia lawmakers rejected amendments that would have made exceptions for chemical plants and churches. In Indiana, Rep. Jim Lucas filed an amendment this week to expand an existing bill aimed at letting Hoosiers take guns into schools and churches. Citing Parkland, Lucas says the bill now needs to be broadened to guarantee a right to carry on all state-owned property. “We just need to eliminate gun-free zones,” Lucas said according to the Indianapolis Star. On Wednesday, Tennessee state Rep. Andy Holt, a Republican, introduced a bill to let people carry guns in airports, with a special provision that bars local governments from passing their own gun regulations. It is next scheduled for consideration on Tuesday, March 6. And of course, pro-gun lawmakers have also been busy fighting off gun control measures. In Virginia alone, the NRA took a victory lap for having defeated more than 60 restrictions on guns proposed to the general assembly during a single legislative session, including universal background checks, and a law that would have required gun owners to report firearms stolen. The group declared that particular victory six days after Parkland. CNN reports that Robert Mueller is investigating President Trump’s business dealings, including why he abandoned his bid to build a Trump Tower in Moscow. The news suggests that the Mueller probe could be edging into even more dangerous territory for Trump. But I wanted to offer a bit of the backstory on some of the individuals who, over the course of a decade, were involved in Trump’s attempts to build his Moscow tower. We reported last year that Felix Sater, a business associate of Trump’s with a very troubling past, was still trying to push the Trump Tower Moscow project forward as late as November or December 2015 — about half a year into Trump’s presidential campaign. Sater and I met over the phone last year. He was both reluctant to talk and aggrieved about the way he’d been treated in the press, and also anxious to set the record straight and suggest he’d made amends for his past. Sater had been convicted of stabbing a man in the face in a 1991 bar brawl, for which he went to prison, then pled guilty in 1998 to defrauding investors in a bogus securities firm, White Rock (later renamed State Street). After that, Sater got involved with Donald Trump. It may have been through Trump’s longtime legal advisor Michael Cohen, who has been friends with Sater since they were teens, as I reported last July, although both Sater and Cohen, neither of whom are renowned for their honesty to reporters, deny this. “I have over 50 people from both Justice & FBI in my phone, add some other 3 letter agencies and I bet it hits 75 plus,” Sater once bragged to me, saying he was freelancing for various intelligence services during the period after his plea deal. But Sater was also location scouting for Trump. In 2005, he tried to snag an abandoned pencil factory for the prospective Trump Tower Moscow, but the deal fell through. 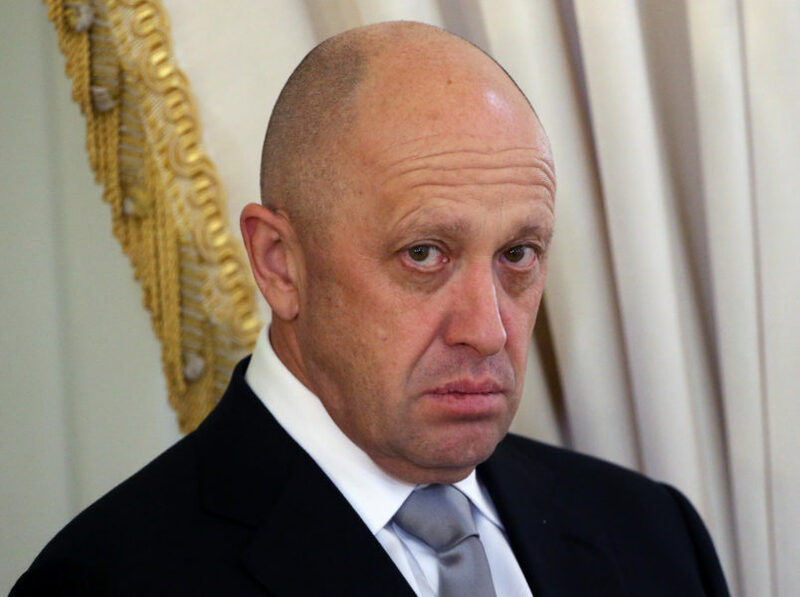 Sater also worked with the disgraced Ukrainian parliamentarian Andrii Artemenko in an attempt to broker a deal under which Ukraine would lease the land Russia had already taken over, in Crimea, to the Russian government for a period of at least 50 years. In 2013, Trump tried a different tack for his Moscow project. He took his Miss Universe pageant to Moscow with the help of billionaire real estate mogul Aras Agalarov, with whom he hoped to do further business. It was Agalarov’s son, Emin, who tried to broker a deal for the Trump campaign to receive “dirt” on Hillary Clinton in an infamous June 2016 meeting in Trump Tower. TPM laid out Trump’s pursuit of the deal in detail in August. Trump was amped about finally securing Russian real estate, if his Twitter feed is anything to go by. That deal fell through, too. Trump then went back to Sater, who told me he’d looked into making the Trump Tower Moscow project work in October of 2015. The bank he’d tried to get financing from, according to the New York Times, was under sanctions. In our conversation, Sater told me he finally shelved his efforts to build the Moscow tower in December 2015 — once the Republican primary was in full swing and candidate Trump was gaining traction. On Saturday, protesters denounced a plan by a gun manufacturer to make Kalashnikov-branded AK-47s at a facility in Pompano Beach, Florida — about 14 miles from the site of the Parkland school shooting. “I could discuss the morals of it, I could tell you I’m disgusted, but you know you’re disgusting,” shooting survivor Cameron Kasky said ahead of the protest. But a closer look at the gunmaker, Kalashnikov USA, and its quest to set up a Florida facility reveals a far stranger story, and one that’s perhaps more troubling still. Kalashnikov USA first announced its plan to make AK-47s in the U.S. — using the slogan “Russian Innovation, American Heritage” — as a way to get around sanctions, which forced it to stop importing the weapons from a Russian gunmaker with whom it had close ties. But it wouldn’t say where it was making the weapons. Then, to lure the company to Florida, Gov. Rick Scott’s administration pledged to give the firm $162,000 in tax breaks, but the tax deal fell through when the gunmaker failed to provide the required paperwork. Despite a string of announcements that Kalashnikov USA would soon start cranking out AK-47s in Pompano Beach, it’s not clear that it has ever made any AK-47s at all. And when a TPM reporter called to ask questions, a company official hung up on him. Kalashnikov USA isn’t the only gun company that Scott has rolled out the red carpet for. The number of gun manufacturers in the state has ballooned from 232 when Scott took office in 2011 to 764 today, according to statistics from the Bureau of Alcohol, Tobacco and Firearms — a slightly higher rate than the one at which it has increased nationwide. In 2011, Scott personally announced that he had promised gunmaker Colt a tax break deal of its own, this one worth $1.6m, to relocate 63 jobs to Kissimmee, Fla. And in 2015, Scott’s office touted job growth at another Florida company, Azimuth Technologies, which makes parts for AR-15s, as evidence that Florida’s elimination of taxes on manufacturing equipment had brought work to the state. Scott’s support for the gun industry has come under scrutiny in the wake of the deadly massacre, for which Nikolas Cruz used a version of an AR-15 rifle. In response to widespread outrage over the shooting, Scott, who is expected to challenge Sen. Bill Nelson (D-FL) this fall, has proposed new gun safety measures, including raising the age limit for buying an assault rifle to 21 and making it harder for mentally ill people to get weapons. At a CNN town hall last Wednesday, Nelson sought to make hay out of the Kalashnikov USA tax deal. “Did you know that the state of Florida, the governor’s office, gave financial incentives for them to come into the state and manufacture?” Nelson asked. But Kalashnikov USA’s efforts to find a way around the U.S. sanctions on Russia raise further questions about its presence in Florida. The Obama administration’s 2014 sanctions, imposed in response to Russia’s annexation of Crimea, created a problem for a Pennsylvania-based company called RWC. Since 2012, RWC — it stood for Russians Weapons Company — had been the exclusive importer and distributor of Kalashnikov guns. Now, it was forbidden from doing business with Moscow-based Kalashnikov Concern, which has been described as its parent company. Designed in the 1940s by a Red Army engineer, the AK-47’s low cost and reliability have made it and its variants the world’s most ubiquitous weapon. While many companies, including American manufacturers, make their own versions of the weapon, the original is coveted by collectors. At the January 2015 SHOT show, a Las Vegas gun-industry conference, RWC announced a work-around in response to the sanctions: It told CNN Money’s Aaron Smith that it would cut ties with Kalashnikov Concern and start making AK-47s in the U.S, rebranding itself as Kalashnikov USA. The plan was legal, RWC said, as long as the company had no contact with Kalashnikov Concern. Erich Ferrari, a Washington D. C. attorney who specializes in sanctions law, said if Kalashnikov USA truly didn’t communicate with Kalashnikov Concern in producing its guns, that “may obviate the sanctions concern.” But Ferrari said the two companies would need to have had a pre-existing deal in place that covered major changes in the relationship, like converting from an importer to a manufacturer with no discussion of compensation and use of the storied Kalashnikov brand. Yelena Kalashnikov, the daughter of the rifle designer Mikhail Kalashnikov, said in response to RWC’s 2015 announcement that she was “bewildered,” by the plan, suggesting they were “us[ing] what doesn’t belong to them.” But the company itself said it had no objection. And four months later, Scott’s DEO inked a deal with Kalashnikov USA, in which it promised the firm a tax refund deal worth $162,000 if it relocated from RWC’s Pennsylvania headquarters to Broward County and created at least 54 jobs. That short-lived deal was first reported last week by the Florida Bulldog, an independent investigative news site. Scott’s office didn’t respond to multiple requests for comment on the Kalashnikov USA deal. But Tiffany Vause, a spokeswoman for Florida’s Department of Economic Opportunity, told TPM that the tax deal was terminated when RWC failed to provide the necessary paperwork. Kalashnikov USA appears to have decided to move to Florida anyway. At the January 2016 SHOT show, it told CNN Money’s Smith and another CNN Money reporter that it was readying its Florida factory. The guns would be available “soon,” CNN Money reported. A year later, the company returned to the SHOT show, where CEO Brian Skinner promised Smith that the gun was coming the following month. But according to a local report this week on the protest, the opening of the Pompano Beach facility is still be held up while the company negotiates with the city. In calls to three authorized dealers listed on Kalashnikov USA’s web page, TPM could not find a dealer who had sold one. On the company’s Instagram page, fed-up gun enthusiasts posted annoyed comments under a picture of the rifle from last month. “Sooo is it finally going into production?” wrote one. “Where are your AK-47s! ?” asked another. Kalashnikov USA didn’t respond to repeated requests from TPM to comment. Evrold Henry, who signed the company’s application for the Florida tax abatements, declined to say whether the company had made any AK-47s or had the rights to do so, then hung up. No one at the company answered emails. One salesman referred TPM to Anastasia Bokareva, who he described as a business manager for the company. Bokareva did not respond to voicemails or email. A clerk at the Pompano Beach Office of Business and Tax Receipt said the Kalashnikov USA facility has licenses for firearms sale, assembly, import-export, and manufacture. The clerk said she did not know whether the facility actually manufactured guns or simply converted them in accordance with import laws. “We go by whatever they put on the application,” she said. Scott’s recent announcement of his support for several gun control measures was a shift in course. Until now, Scott has lined up staunchly behind the NRA, which gives him an A+ rating. He has championed the state’s “stand your ground” law, hobbled efforts to improve background checks, and reduced the cost of a concealed carry license. Scott also signed a law preventing doctors from asking their patients if they had access to a weapon. In a letter to U.S. Sen. Ron Wyden (D-OR), the National Rifle Association pushed back on last month’s McClatchy report that the FBI is investigating whether the group illegally received money from a Russian government banker, Alexander Torshin. “As the article itself makes clear (and as the author of the article has made clear to counsel for the NRA) the article refers to an investigation of Mr. Torshin, not of the NRA,” NRA general counsel John Frazer wrote in the February 15 letter to Wyden, in response to a request from Wyden for documents on the issue. “There has been no contact between the FBI and the NRA,” Frazer added. Wyden’s office provided the NRA’s letter to TPM Friday. “Senator Wyden is reviewing the NRA’s response and considering additional follow-up questions,” a Wyden aide told TPM. Torshin and Right to Bear Arms, which lists a who’s who of right-wing Russian politicians among its members, has maintained years-long relationships with multiple consecutive NRA presidents, plying them with gifts, speaking engagements and trips to Russia. There was confusion Thursday over the status of a lawyer for Rick Gates, the Trump campaign staffer under indictment in the Mueller probe alongside Paul Manafort: The Daily Beast reported Thursday that attorney Tom Green had been fired; Green called the story “BS” and “Unbelievable” in a brief email to TPM. Betsy Woodruff, the reporter who wrote the Daily Beast story, said on Twitter that she stood by the piece. TPM has contacted multiple representatives for Gates requesting clarification. Gates also submitted a second motion saying he did not oppose Gates’s old legal team leaving the case, as they’d indicated they wanted to do earlier this month. Green has been with the team less than a month. Three more of Gates’s attorneys have said they want to quit: Shanlon Wu, Walter Mack and Annemarie McAvoy, filed a motion earlier in February to withdraw “immediately” from representing him, citing “irreconcilable differences.” The three lawyers appear to remain on Gates’ team. Moreover, the initial report states that Gates won’t sign a deal with Special Counsel Robert Mueller as previously reported. The confusion comes at a bad time for the defense: Also on Thursday, Mueller filed a superseding indictment adding charges of money laundering and tax evasion to the laundry list of financial crimes with which Gates and Manafort are charged. The pair were indicted in December on charges including conspiracy against the United States and failure to register as foreign agents during their lobbying work for the pro-Russian Party of Regions in Ukraine. Though few are prosecuted under the Foreign Agents Registration Act, the list of violations of the act in the indictment is extensive. Four months after a gunman shot 480 concertgoers from the window of his 32nd-floor hotel room, President Trump has ordered the Department of Justice (DOJ) to do something the department has repeatedly said it can’t do on its own: Ban bump stocks. The result could well be the kind of inaction on gun violence that we’ve grown used to. Bump stocks are sliding shoulder stocks that use a gun’s recoil to fire the next round, effectively making a semi-automatic gun into an automatic one. The Las Vegas murderer had 12 guns modified with those devices. Of course, doing so would have done nothing to stop the Parkland shooter, who didn’t need bump stocks to kill 17 people, including a dozen children, in minutes. But leave aside the obvious inadequacy of the step as a response to gun violence. We’ve been here before. After the Las Vegas shooting, Sen. Dianne Feinstein (D-CA) introduced legislation to ban bump stocks. The NRA opposed it, but said separately that ATF, an agency of DOJ, should review whether bump stocks require regulation under existing law. “The NRA believes that devices designed to allow semi-automatic rifles to function like fully-automatic rifles should be subject to additional regulations,” the group said in a statement. The Justice Department said at that time that it was reviewing whether it had the necessary authority to regulate bump stocks. But ATF has said repeatedly in the past, and said again in the wake of the Las Vegas shooting, that it doesn’t have the authority required. In a 2013 letter to Congress, the agency wrote that “stocks of this type are not subject to the provisions of federal firearms statutes.” The letter details the logistical problems with applying the law to bump-fire stocks, which seem expressly designed to skirt prohibitions on machine guns. The ATF doesn’t appear to have changed its mind since sending the letter. Its director, Thomas E. Brandon, made the same point in a December hearing. “ATF’s authority to regulate firearms is of course limited by the terms of [firearms laws from 1934 and 1968], and they do not empower ATF to regulate parts or accessories designed to be used with firearms,” Brandon said, according to a report on the hearing from the Washington Post. Brandon reportedly said the same thing at a meeting of police chiefs in Philadelphia in October. It all suggests that any move by the administration to regulate bump stocks would be anything but straightforward, if it happens at all. Regulating bump stocks, which are designed to skirt laws banning machine guns, seems like a cursory step — certainly an uncontroversial one, given the breadth of popular support for stricter gun laws. But even that may be beyond Washington’s abilities. Some of the names in the Mueller indictment are new to the unfolding drama, but others we know all too well. Reporting on the unprecedented Russian efforts to swing the U.S. election uncovered the work of troll farm Internet Research Agency (IRA) before Friday’s indictment; some of its most notorious characters are now wanted by the FBI. In my notebooks, I have a large collection of shady Russians too obscure to include in stories about American politics. It’s weirdly gratifying to see some of them surface in the indictment. “Putin’s Chef” is, as his nickname suggests, a close ally of the autocratic president of the Russian Federation; he is also a restaurateur who runs a tony eatery out of a repurposed yacht in St. Petersburg, the city where the IRA is also located. Concord Management and Consulting, another of the billionaire Russian’s main businesses, is also named in the indictment. Prigozhin is notoriously vain: He sued internet company Yandex 15 times in a a single year, according to CNN, over “illegal, inaccurate, or irrelevant information.” He also spent nine years in prison in the 1980s for fraud and robbery. The Anti-Corruption Foundation, a Russian non-profit founded by Putin nemesis Alexey Navalny in 2011, accuses Prigozhin of defrauding the Russian government of billions of rubles. Wired reported in September that Bystrov, former head of the IRA, is still very much in the same business: He runs a new Russian troll farm, called Glavset, out of St Petersburg. Actually, he runs Glavsest out of the same office building where the Internet Research Agency used to be. Burchik appears to have supervised one of the more disturbing operations detailed of the indictment. The document alleges that two women who worked for the Kremlin obtained tourist visas in 2014 and toured the U.S. gathering intelligence for use in IRA’s election interference campaign. Burchik, a 30-year-old “internet entrepreneur,” according to English-language Russian news site Meduza, was “executive director” of one of the many legal entities associated with the troll farm. The head of the IRA’s American unit, which was responsible for many of the activities detailed in the indictment, Aslanov is most notable for his role in a gimlet-eyed account of his work at the IRA offered by one of the group’s former employees, Alan Baskayev, who gave a lengthy interview to Russian TV network Dzodh last year. “Jay was a really not bad manager: not the most competent in this field, well, frankly speaking, generally incompetent, but he had assistants,” Baskayev recalled. The Kremlin operation that interfered in the 2016 campaign stoked fears of voter fraud in advance of election day, purchasing ads on Facebook and using the #VoterFraud hashtag on Twitter, according to an indictment of 13 Russian nationals filed by Robert Mueller’s probe on Friday. Separately, the Russians spread social media messages that aimed to discourage blacks from voting, the indictment says. One Facebook account, called Stop A.I., alleged in August that “Hillary Clinton has already committed voter fraud during the Democrat Iowa Caucust,” according to the indictment. A week later, the group used its @TEN_GOP twitter account to report fictitious accusations of voter fraud being investigated in North Carolina. Trump, too, made numerous false claims about Democratic voter fraud in the run-up to the 2016 election. “Choose peace and vote for Jill Stein,” said another Russian-backed Instagram post. Did Treasury Sideline Intel Leaders On Oligarchs List? A Treasury Department list of wealthy Russian allies of Vladimir Putin appears to have been classified without the involvement of the intelligence community. The news raises further questions about whether the list needed to be classified in its entirety at all. And it adds to concerns that the Trump administration is finding ways to soft-pedal its enforcement of Russian sanctions to avoid alienating Putin. At Tuesday’s Senate Intelligence Committee hearing on global threats, Senator Ron Wyden (D-Ore.) asked the five top intelligence chiefs an unusual question, citing “the politicizing of the classification system”: Had any of them taken a position on the Trump administration’s decision to classify a major portion of a report on Russian oligarchs created by the Treasury Department? Four of the men — FBI director Christopher Wray, Director of National Intelligence Dan Coats, CIA director Mike Pompeo, and DIA director Robert Ashley — answered that they had not. NSA chief Michael Rogers answered: “I raised concerns with the DNI,” but he appeared to be talking about the Nunes memo, a different issue that Wyden had also asked about. As part of a sanctions law passed by Congress in August in response to Russia’s interference in the 2016 election, the Treasury Department was required to create a report on wealthy Russians closely aligned with Vladimir Putin. But even as he signed the sanctions bill, President Trump referred to it as “seriously flawed.” And he made a point of saying that the executive branch answered to him, not to Congress. A day before the January 30 deadline to produce the report, Treasury issued a bare list of Russian billionaires that it acknowledged had been taken from Forbes magazine. Treasury Secretary Stephen Mnuchin said there was a classified annex to the report that Treasury would use to punish oligarchs closely aligned with Putin, per the bill’s mandate. Mnuchin said that could happen as soon as February. In response, Wyden called for the annex to be declassified and said Mnuchin “isn’t even going through the motions” of following the law. A spokesman for the Treasury, who asked that his name not be used, declined to comment on the record about the level of involvement of the intelligence community in classifying the annex. John Sipher, a former member of the CIA’s Senior Intelligence Service, the leadership team that guides CIA activities, told TPM the Treasury’s decision to leave the full annex classified without apparent input from the intelligence community struck him as unusual, too. I. Charles McCullough III, the inspector general of the intelligence community under President Obama from 2011 to 2017, said it wasn’t unusual in itself for the Treasury to use its classification power without the intelligence community officially being involved. But he said he was surprised to hear the intelligence chiefs say they hadn’t had any heads-up at all.